Good stuff, but still a little clumsy for the support people to deal with customers who call with a problem with High Sierra Version 10.13. Ugh, which 10.13? The About This Mac dialog doesn't display a build number or "supplemental" tag so they'll have to go rooting around in the App Store update history. Not a big deal but still not very Apple-like. The good thing is that they plugged a couple of holes that seriously needed to be plugged. Was this update rolled out to the beta testers of 10.13.1, either separately or integral to 10.13.1 beta? There are several fast options for finding the build number. 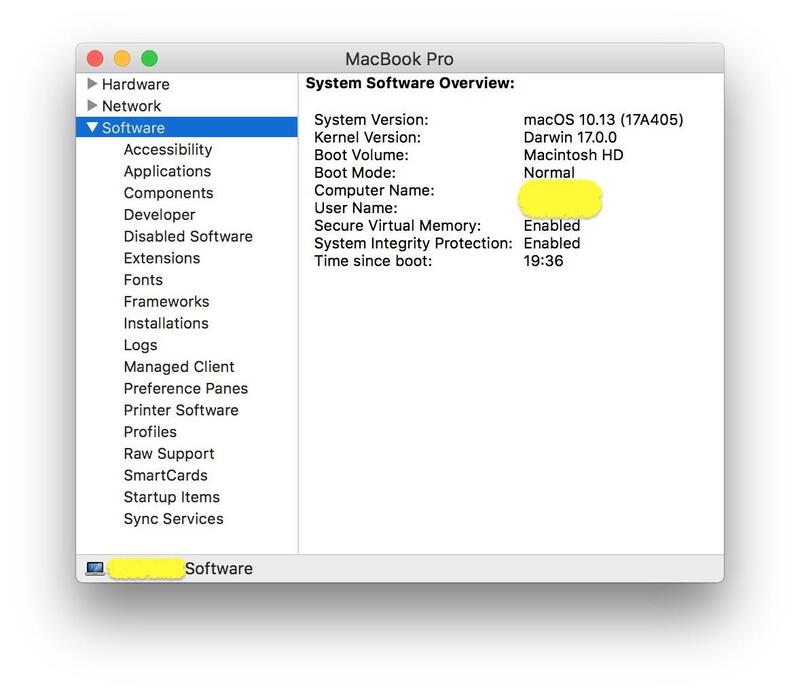 The one Apple Support may have a customer grab is in About This Mac. 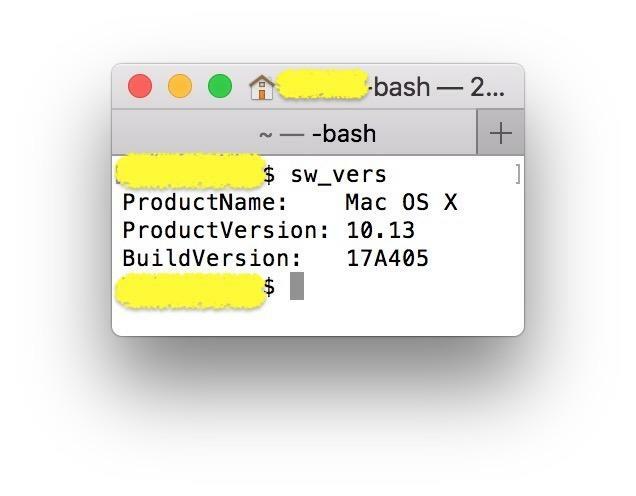 Just click on the version number to see the build number. The next simplest option would probably be to have the customer hit System Report in About This Mac and then click on Software from the lefthand-side pane. The third option is to type sw_vers into Terminal. The supplemental updates toasted my work Touchbar Macbook Pro. I spent about five hours troubleshooting. I couldn't open a terminal because my .bash_profile (which uses git to give me the branch i'm currently on in the prompt) would lock it up before I'd get a prompt. I couldn't figure out why my terminal wasn't working. I uncovered a few odd issues along the way. 2) Disk Utility disk first aid will lock up the entire computer (minus mouse movement) until it is done. I didn't know this until I let it go. It does say it locks up the drive, but didn't explicitly explain it was going to lock up usage of the computer. 3) mdfworker threads were going crazy and I was getting about 800 messages a second in my Console. Xcode was the cause of my issues and I'm not sure why. When I could get Xcode 9 to open, it wouldn't ever finish building, it would just lock up during the middle of a build. Even after cleaning build folder and derived data. This was also related to my Terminal lock up. Once I was able to get rid of my .bash_profile, I was able to see my git command was broken with a `git --version`. I would have to ctl-c out of it. Using `xcode-select --reset` fixed it momentarily. I ended up having to go to Xcode 9.1 beta to fix it. Still at a loss why, but my confidence in APFS is shaken right now. Do NOT install this update if your primary drive is still in the process of being encrypted!! This update hosed my 3-day old MacBook Pro by refusing to install while the drive was still being encrypted. It got stuck in a cycle of restarts that would not allow my back into my machine. Even re-installing MacOS did not work. The only way to get in was to completely erase the primary drive, and re-install MacOS from scratch. This was the end-result after being on the phone with Apple support in vain in the hopes I could recover my machine without losing hours of setup I did the night before. 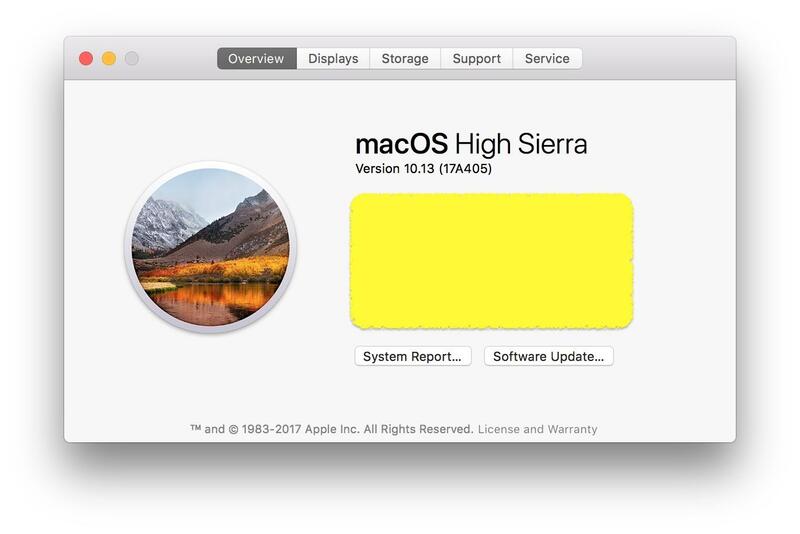 I was in a perfect storm of events as I just bought the laptop that still had Sierra installed, so I upgraded it to High Sierra, installed software, and shut the machine off (not giving it time to finish the encryption) and the next morning the update crashed my machine. Now WHEN is Apple going to make High Sierra's Siri actually perform HomeKit commands I ask it?!?! Not to mention an actual Mac HomeKIt UI?!?! FUN FACT: You should NOT install this if you're on an unsupported machine. Or if you're an idiot: like me!